Everybody deserves to have a reliable car. If your car is riding rough on the road or your engine is overheating, then it's time to come to Wayne's Auto Repair for engine repair in Westerville, OH. Our team has more than 30 years of experience in the automotive repair industry. We can quickly diagnose the issue and fix any vehicle problem. No problem is too small or large for us to handle. Are you tired of bringing your car in for repairs? We have a better and more affordable solution. Instead of spending money on frequent repairs or buying a new automobile, engine replacement is a cost-effective alternative for you. We replace engines for every make and model. Allow us to help you decide if this is the best option for you. We also offer easy financing for those with good to no credit. Keep your car in perfect health at our shop. We provide diagnostics and car engine tune-ups for all makes and models. From changing spark plugs and fluids to inspected hoses and other important engine components, we locate any issue that could cause problems down the road. We have advanced engine diagnostics that identify any potential problems with your vehicle. 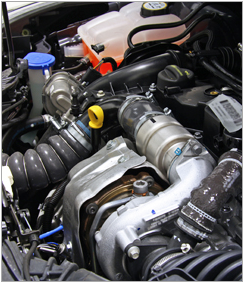 By providing engine auto tune-ups, we ensure your car remains in smooth-operating condition. Contact us to schedule an auto diagnostic if you're noticing problems with your car's engine. We serve vehicle owners from Westerville, Columbus, Worthington, Gahanna, and New Albany, Ohio, as well as the surrounding areas.